In this educator spotlight, we visit with veteran Kindermusik educator, Buffie Dumas. She has been teaching Kindermusik since 2000, the same year she first opened her Kindermusik studio business, Kindermusik with Miss Buffie, in Auborn Hills, Michigan. Lovingly called Miss Buffie, Miss “Buppie”, and even “Miss Puppy” (her personal favorite! 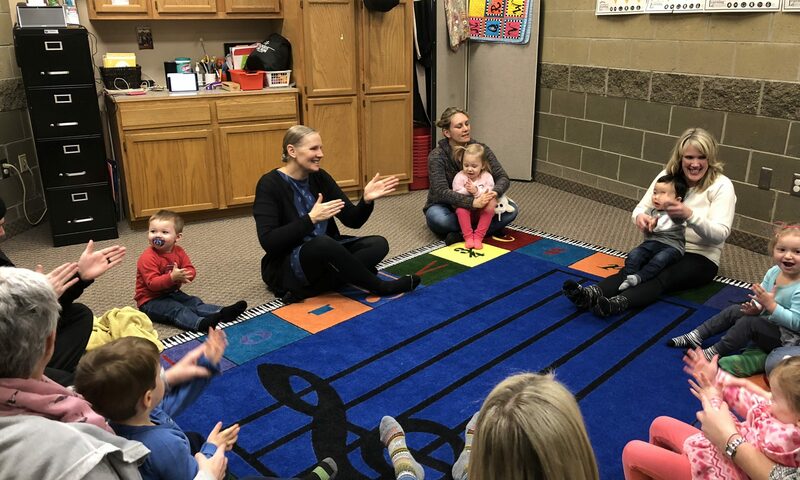 ), Buffie is dedicated to making a difference in the lives of children and families – so much so that one of her Kindermusik colleagues nominated her to be spotlighted on our Minds on Music blog! 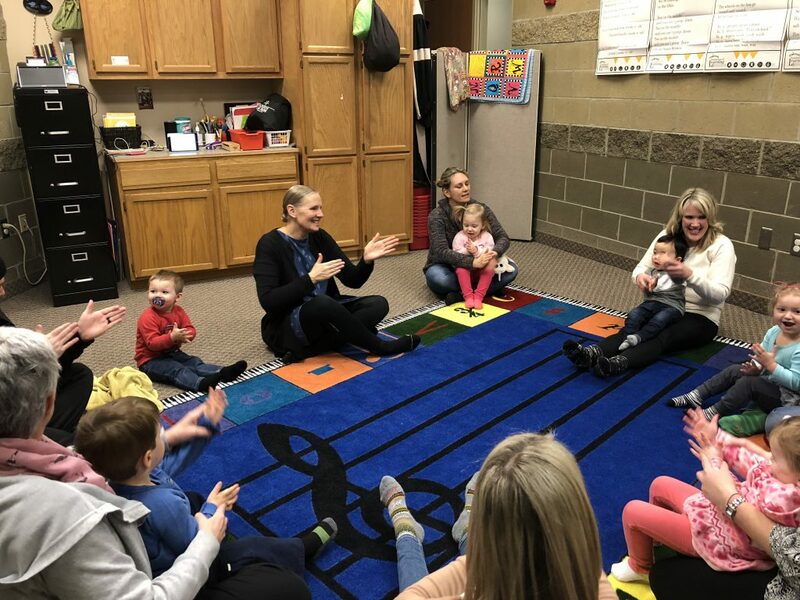 Buffie is a special person and when you read her interview, we think we’ll see why she has captured the hearts of minds of the children and families she touches every week in her Kindermusik classes. In fact, ask them and they’ll tell you that she is their real-life Mary Poppins! TC: You’ve been a Kindermusik educator and Kindermusik business owner for a long time. What makes your studio such a special place? BD: It’s a safe place where parents can gather with other parents to connect with each other. They stop feeling alone in this big job of raising children. I love the community that Kindermusik affords them and the life-long friendships that are formed. TC: What do you feel has made Kindermusik with Miss Buffie such a success? BD: Hands down it’s word of mouth. Parents who refer other families to my program. 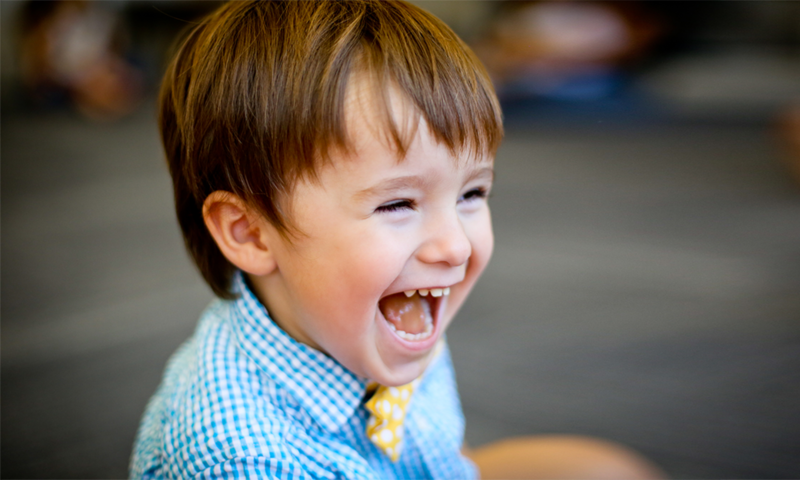 TC: What’s your favorite part of teaching Kindermusik? BD: Helping young mothers connect with their children, helping them to embrace parenting and have it become parenting on purpose with the purpose of raising healthy children in today’s world. BD: Be transparent. I love to let moms know, in a humorous sort of way, the mistakes I made parenting and that they shouldn’t be too hard on themselves. TC: What’s your favorite Kindermusik dance to lead? BD: “The Virginia Reel” from Do-Si-Do! TC: And your favorite Kindermusik song? BD: I had a child who was a serving twin. He was born in Iraq and his parents had to flee the country due to persecution. This child was 3 years old when he first came to me, non-verbal, he was developmentally delayed due to mild cerebral palsy. We started him in an Our Time class. 6 weeks into the semester I was blowing scarves off my head. He pointed to me and said, “She’s funny!”! Everyone in the class cried that day, including me. I’ve had the privilege of watching Nikki grow into a happy, healthy (and very chatty) 5 year old who has made lots of friends in his K4 class. It all started with Kindermusik! TC: Describe a teaching experience or favorite Kindermusik family that has impacted you as a teacher. BD: Well, besides Nikki’s story, I have the pleasure of being able to watch many of my students grow into budding musicians in our K-12 grade school that is affiliated with my church. I teach concert Choir and many of my former students are also singing in this choir. Many have graduated from high school and have gone on to pursue music in college. They always check back in with me. TC: What are some special things happening in your Kindermusik business? BD: I am getting ready to branch out with Kindermusik with Grandfriends. I recently had a former student who, with her husband, have opened an Assisted Living home. They like to do field trips with their residents and are going to come be with me once every couple of months to join us in our class. TC: As an experienced educator and Kindermusik business owner, if you could share one tip with a new Kindermusik educator, what would it be? BD: Start small, get your feet underneath you and then branch out. There were times when I would only have 3 students in a class, but I made it work. Those 3 became 6 then 8, then 10. Every child deserves Kindermusik. TC: When you’re not making magic in the Kindermusik classroom, what are some of your hobbies? BD: I love to craft, I love to work out, and I have 9 beautiful grandchildren who I love spending time with.